“Glass”, as us professional photographers call it (lenses) are a huge, and necessary, expense of photography. In my humble opinion, the better the optics the better potential the image has to be clear and sharp. 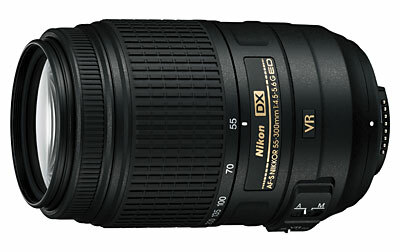 Here is a review I found helpful if you are in the market for a new Nikon lense, or two. Nikon has just announced four lenses that are destined to be very popular additions to Nikon DSLR owners’ lens arsenals. Which lens might be your next one? Whether you’re a wedding pro looking for a competitive edge in image quality, an enthusiast looking to upgrade to the latest goodies or seeking to expand your visual repertoire, or a beginner looking to add a second lens, Nikon’s latest crop of lenses offers you options. In some cases, the earlier models might suit you just fine while saving you money so if money is an object, here are some alternatives to what you may already own. 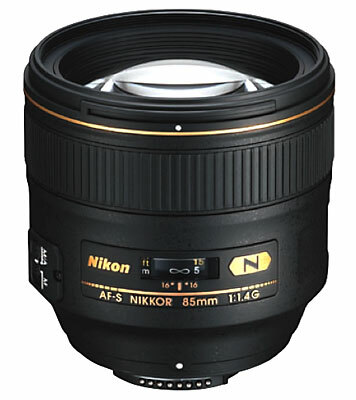 AF-S Nikkor 85mm f/1.4G ED: First up is an ultra-fast, high-performance portrait lens designed for pro studio and field use; portrait and wedding photographers will appreciate the lens’s shallow depth of field. Internal focus, ghosting and flare reduced, rugged construction, and claimed edge-to-edge sharpness with full-frame and APS DSLRs (35mm equivalent on APS cameras: 127.5mm). Combine the big aperture with the rounded 9-blade diaphragm and you should get extremely pleasing out-of-focus qualities (bokeh). Expected price: Approximately $1,699.95. A less expensive alternative that’s available now: Check out the Nikon 85mm f/1.4D IF AF, which lacks the Extra-Low Dispersion lens coating but is still an excellent lens and it’s price has just been reduced to $1,224.95. AF-S 24-120mm f/4 G ED VR: This is a high-performance lens with constant f/4 maximum aperture, this is a prosumer lens that offers a versatile range and high quality. A nano crystal coat, 2 ED elements and 3 aspherical elements reduce ghosting, improve sharpness and color correction, and minimize all kinds of aberrations. The internal-focusing lens work with APS and full-frame sensor cameras. The 5x zoom range provides the 35mm equivalent of 36-180mm on an APS camera. A rounded 9-blade diaphragm will provide natural-looking bokeh (out-of-focus background). Expected price: Approximately $1,049.95. 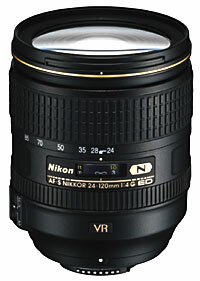 This lens is an upgrade over The Nikon 24-120mm f/3.5-5.6G ED-IF AFS VR, mainly because its f/4 maximum aperture remains constant throughout the zoom range, while the earlier version has a variable aperture. The main advantage of the older version is its price which, at $569, is not quite half the cost of the newer model. This surprisingly compact lens is designed for APS-sensor cameras only. Price: $399.95. Available Now. Nearest comparable lens? Either the 70-300mm f/4.5-5.6G, which carries a relatively hefty price tag ($519.95) and is optically more of an enthusiast lens and you lose those first 20 millimeters of focal length, or the 55-200mm f/4-5.6G, which is a tad faster, a lot less expensive at $219.95, but its telephoto range falls 100mm short. 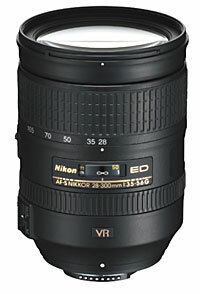 AF-S DX Nikkor 55-300mm f/4.5-5.6G ED VR II: Designed to complement to the 18-55mm kit lens, this is a consumer-grade lens that brings a longer-range telephoto option. Tripod Detection Mode, which lets users shoot with the camera mounted on a tripod without switching out of Vibration Reduction mode, is a cool feature. Nikon claims its VR enables hand held shooting up to 4 stops slower than without it, while HRI and ED elements improve contrast and chase the chromatic aberrations away. The lens focuses down to 4.6 feet at all focal lengths, and has a rounded 9-blade diaphragm for more pleasing Bokeh. This surprisingly compact lens is designed for APS-sensor cameras only. Price: $399.95. Available Now.